The research undertaken related to the objectives of the voyages made by Captain James Cook from 1768. A key aim of the Parry Endeavour's journey was to complete scientific research as Cook had, and to emulate his navigational achievements. Consequently, Sanders' triple circumnavigation of the world was recognised as an official Australian Bicentenary Activity by the Australian Bicentennial Authority. to Project Endeavour members, 1987. 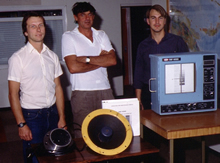 Sounder graphs produced by Raytheon equipment on the Parry Endeavour, 1987. Records of Project Endeavour. Sounder graphs, 1987. CUL00039/15/18. 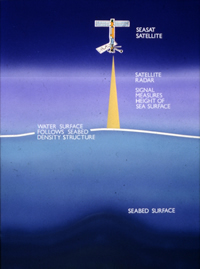 Bathymetric measurements record sea depth. 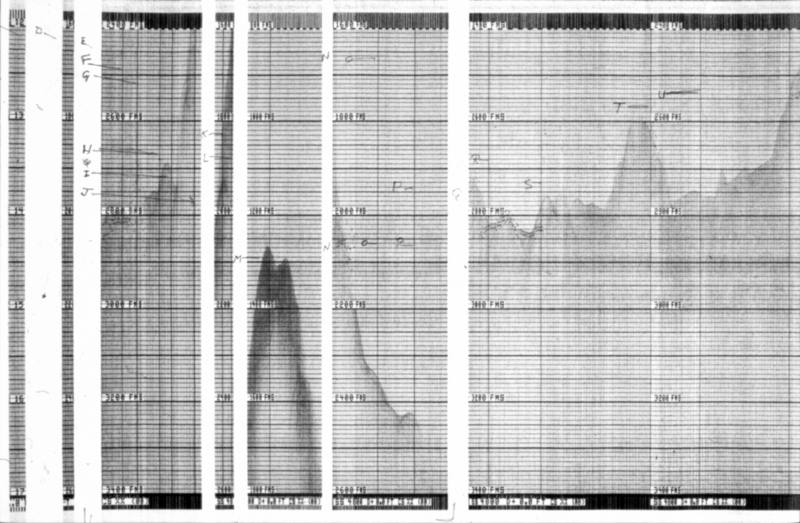 This feature of the science package in particular tied the voyage to Cook's goal to locate Terra Australis in his exploratory voyages in the Southern Pacific. 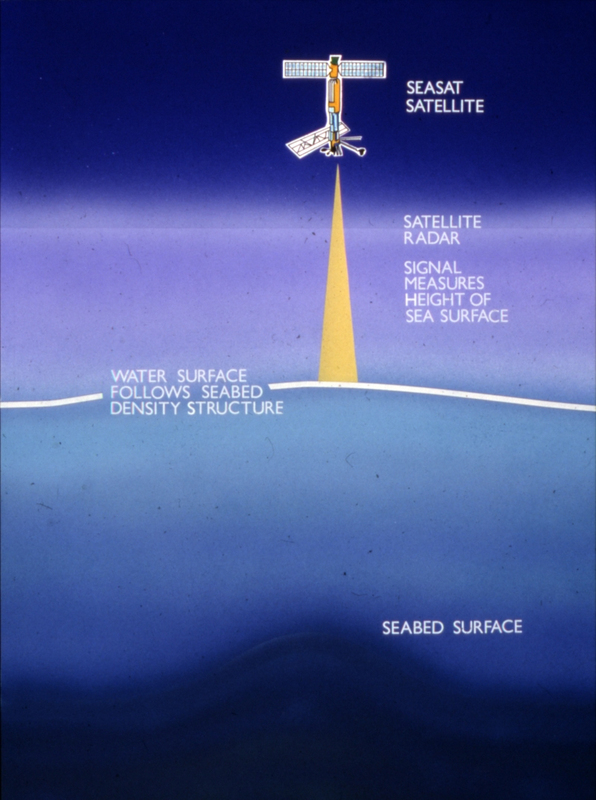 In 1978, the NASA satellite SEASAT was equipped with an altimeter for measuring sea surface elevation. SEASAT's altimeter readings allowed potential bathymetric anomalies, such as possible seamounts, to be identified. Generally SEASAT surface elevation predictions and existing bathymetric surveys correlate well but there was a divergence located in the South Pacific centred at 41°S, 152°W. The SEASAT predictions revealed a region of approximately 2° latitude and 5° longitude which had an unexpected mound of up to one metre above the local average.The General Bathymetric Chart of the Oceans (GEBCO) indicated a depth of 5,000-5,100 metres in the area, but SEASAT predicted that the depth could be 1,000-2,000 metres lower than the GEBCO chart suggested. 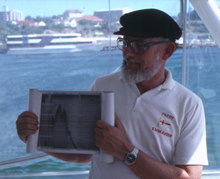 The plan was for Sanders to check the depth features in the area of interest in the South Pacific and confirm the existence or otherwise of a sea mount in the region. By equipping the yacht with a Raytheon depth sounder capable of recording up to 6km, the accuracy of the SEASAT satellite data could be assessed by CMST. height of the sea surface. 1987. CUL00039/15/14. with Raytheon equipment. Ca 1986. CUL00039/11/44.